The Institute for Healthcare Improvement has named Maureen Bisognano to succeed Donald Berwick, M.D., as president and CEO. The Cambridge, Mass.-based not-for-profit healthcare quality organization issued the announcement after President Barack Obama's recess appointment of Berwick to head the CMS. Bisognano joined IHI in 1995 and serves as the organization's executive vice president and chief operating officer. She is also an instructor of medicine at Harvard Medical School, a member of the Commonwealth Fund's Commission on a High Performance Health System, a research associate in the Division of Social Medicine and Health Inequalities at Brigham and Women's Hospital, Boston, and an elected member of the Institute of Medicine. 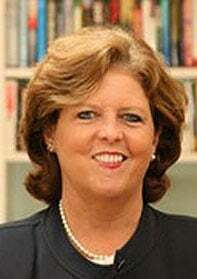 The IHI did not provide a definitive timetable for Bisognano's transition into her new role.